How stretch thinking, even ideas that seem absurd at the time, can create major new platform innovation. To reinvigorate and create breakthrough growth in a mature category where our client was already the leader. Animal House. It drove a wish for “a bagged whipped cream that looks like a ‘zit.’ While initially absurd, it led to a breakthrough package design, where Rich's whipped topping packages would be in the form of pastry bags, ready for pastry chefs to just open and decorate with no mess, no fuss. 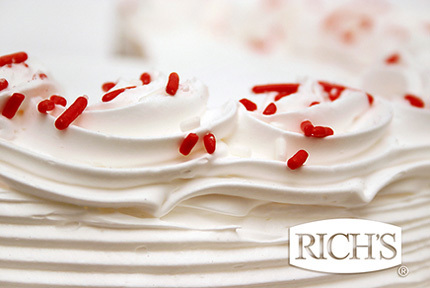 Rich's On Top line of non-dairy whipped toppings doubled prior sales in the first year of introduction. It formed the basis for a new packaging platform that now has several flavors and has added savory patés that that have expanded the business into new market opportunities. Working with Creative Realities changed my perspective about what real innovation is. Innovation is collaboration.